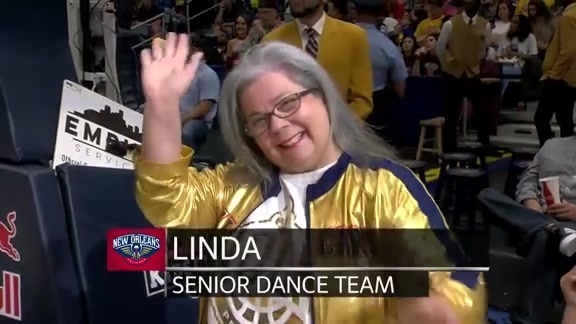 Find out more about Senior Dance Team member, Linda, in her Senior Dance Team Spotlight! 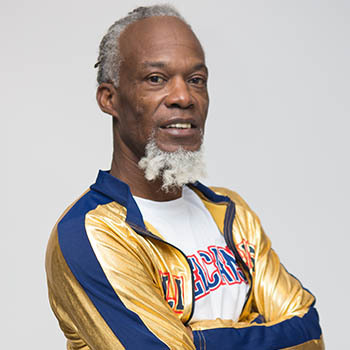 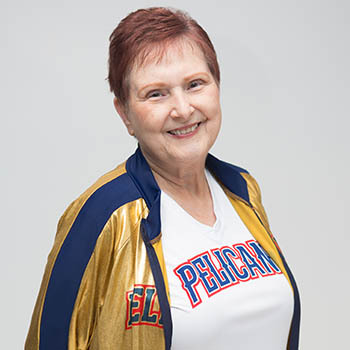 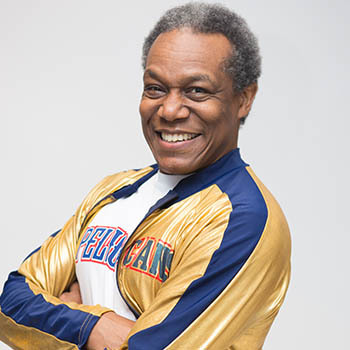 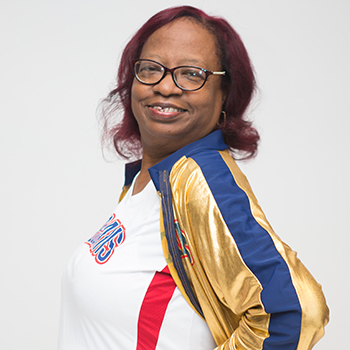 We shine the spotlight on one of our veteran Pelicans Senior Dance Team members courtesy of Peoples Health. 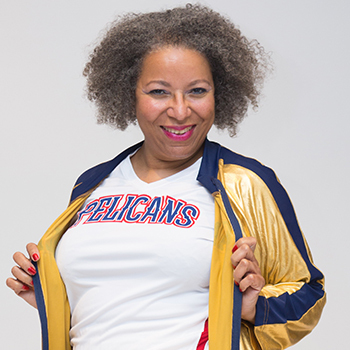 Learn more about Helene and what motivated her to audition for the entertainment team. 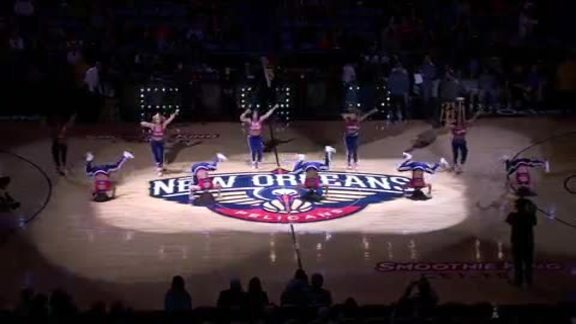 The Pelicans Senior Dance Team entertains fans during the Pelicans game against the Phoenix Suns on Saturday, March 15. 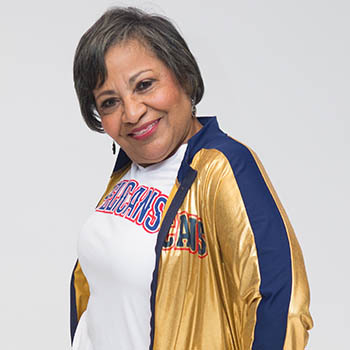 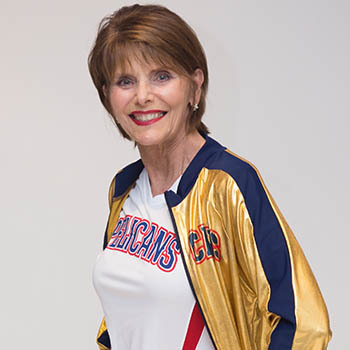 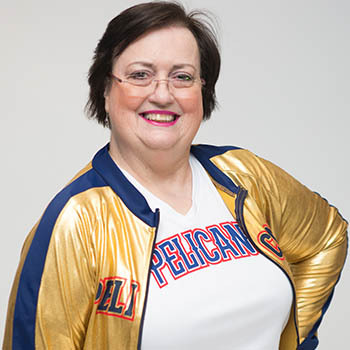 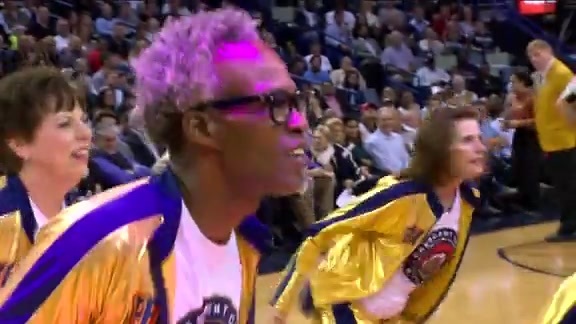 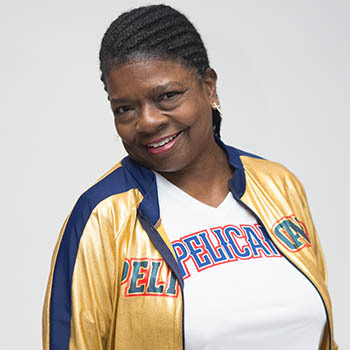 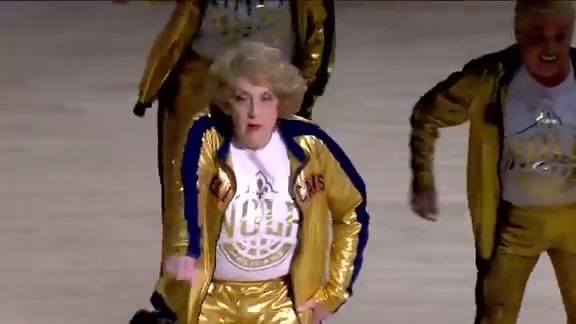 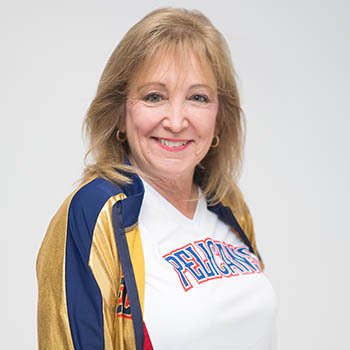 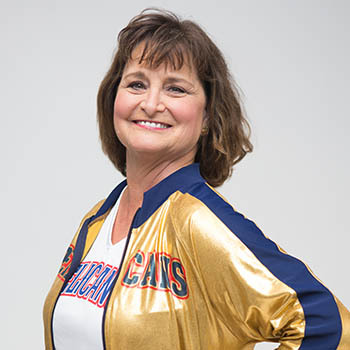 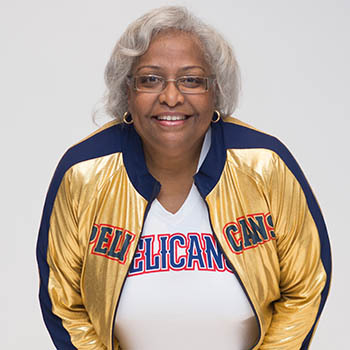 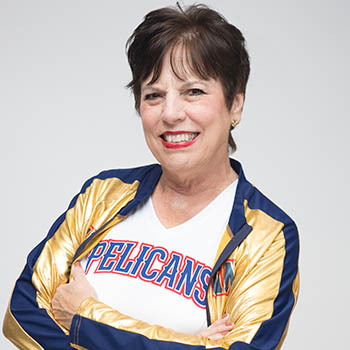 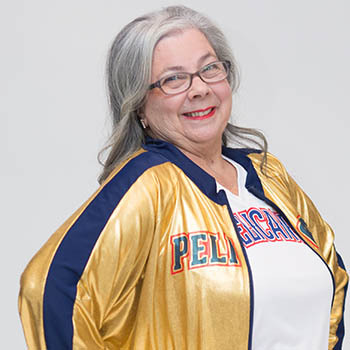 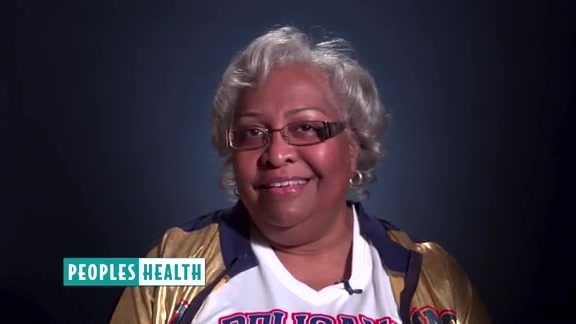 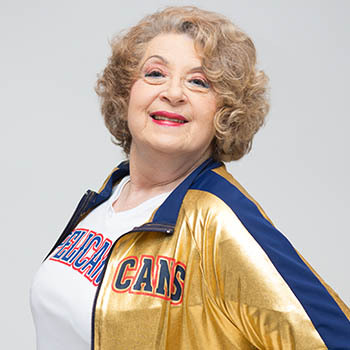 Watch the Pelicans Senior Dance Team Spotlight on Sharon and see how she stays active! 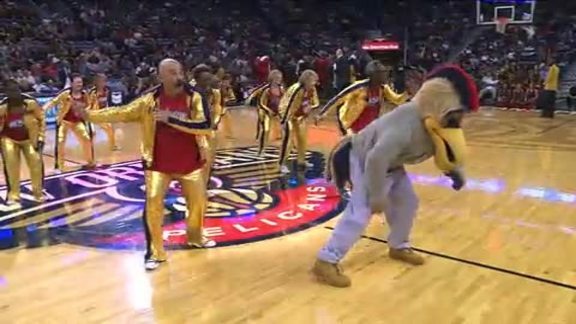 The Pelicans Senior Dance Team and King Cake Baby entertain fans during the Pelicans Mardi Gras Madness game on Saturday, Feb. 23. 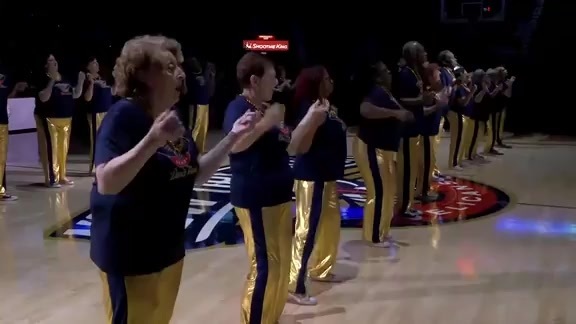 The Pelicans Senior Dance Team brought fans to their feet on Wednesday night as the Pelicans faced the Cleveland Cavaliers in the Smoothie King Center. 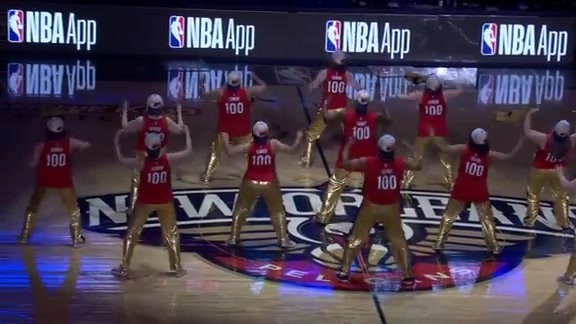 The Pelicans Senior Dance Team performs for fans during the Pelicans home game against the Brooklyn Nets on Oct. 26, 2018. 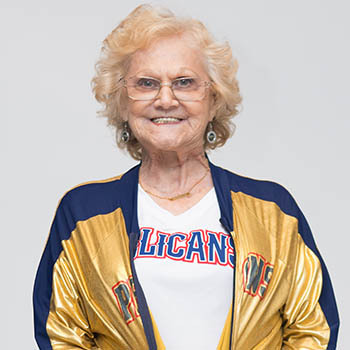 The Pelicans Senior Dance Team entertained fans during the Pelicans Game 3 match up against the Portland Trail Blazers on Thursday, April 19. 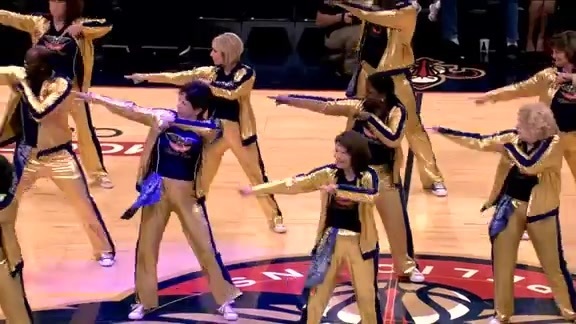 The Pelicans Senior Dance Team show off their moves during the Pelicans game against the Memphis Grizzlies on April 4, 2018. 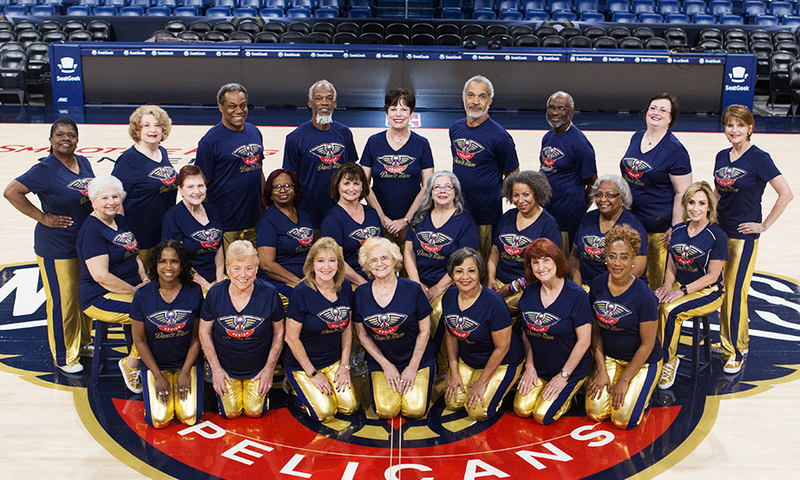 The Pelicans Senior Dance Team entertains fans during the Pelicans game against the Indiana Pacers on March 21, 2018. 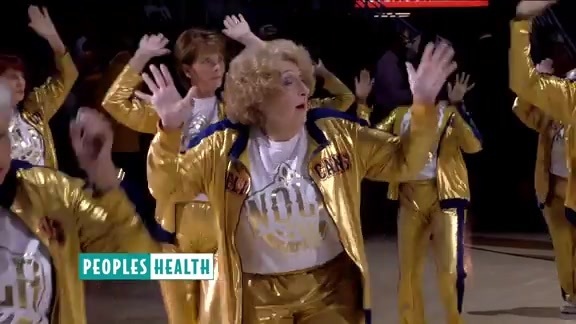 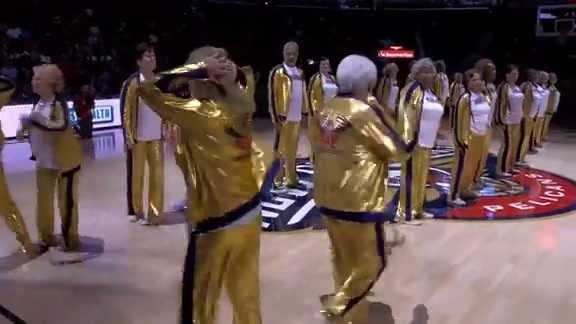 The Pelicans Senior Dance Team performs during the January 8th match up against the Detroit Pistons. 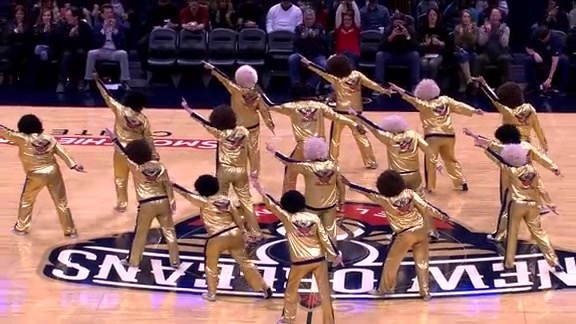 The Pelicans Senior Dance Team performs during the Pelicans vs. Sacramento Kings "70's Boogie Night." 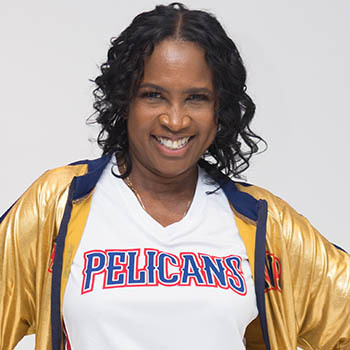 The Pelicans Dance Team, Senior Dance Team, PeliKids, Entergy Swoop Troop and Pelicans Drum Line joined forces for a halftime performance on January 23. 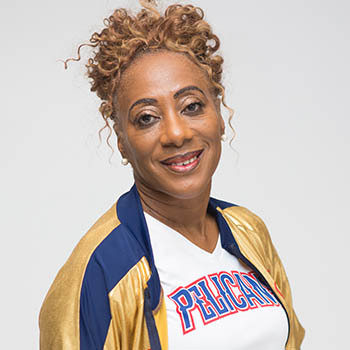 The Pelicans Senior Dance Team presented by Peoples Health along with participants in our recent clinic performed for fans as New Orleans hosted the Pacers on December 15. 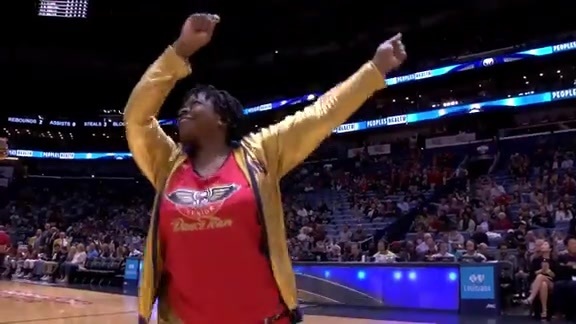 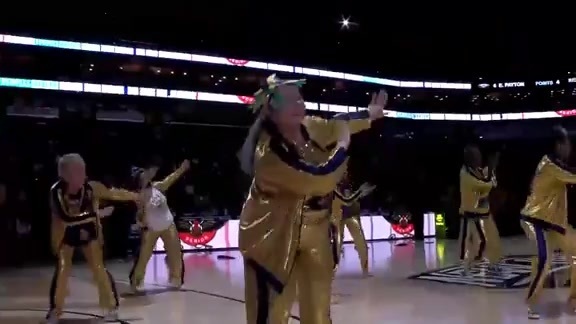 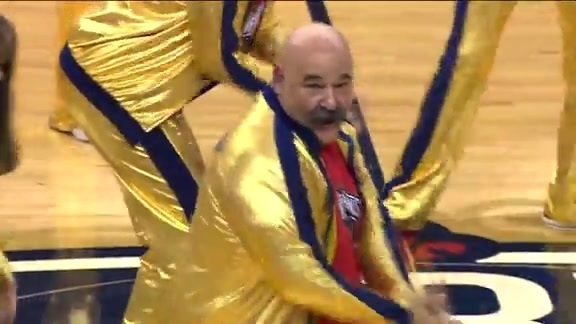 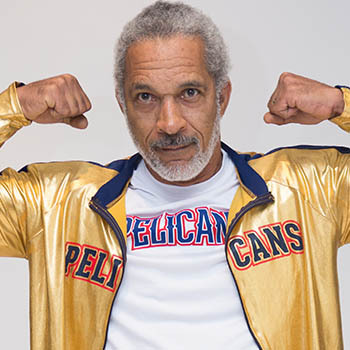 The Pelicans Senior Dance Team presented by Peoples Health performed their routine for fans as New Orleans hosted the Timberwolves on November 23. 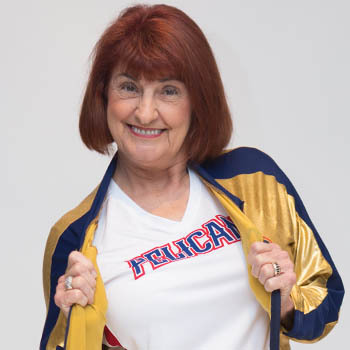 The Pelicans Senior Dance Team entertained fans at the Pelicans-Spurs game on Thursday, March 3 at the Smoothie King Center. 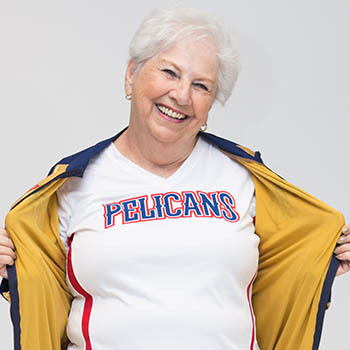 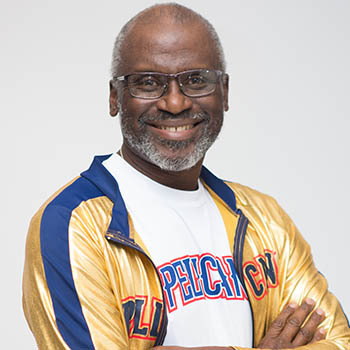 The Pelicans Entertainment Teams countdown Pierre the Pelican's favorite songs of 2015 on New Year's Eve at the Smoothie King Center. 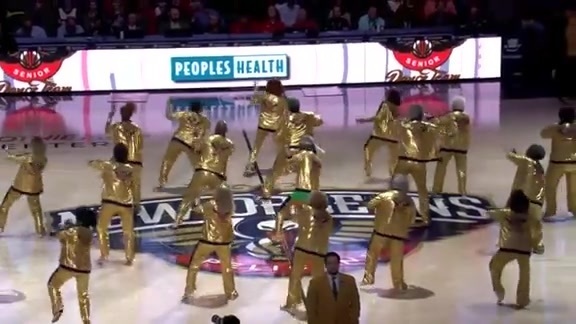 The Pelicans Senior Dance Team entertained fans at Star Wars Night on Friday, December 11 at the Smoothie King Center. 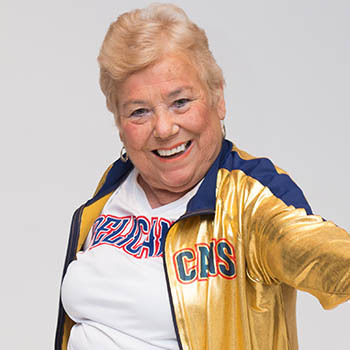 The Pelicans Senior Dance Team entertained fans at the Pelicans-Nuggets game on Tuesday, November 17 at the Smoothie King Center. 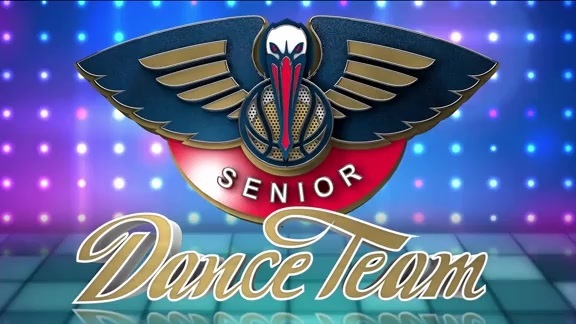 The Pelicans Senior Dance Team entertained fans at the Pelicans-Bucks game Tuesday, March 17 at the Smoothie King Center. 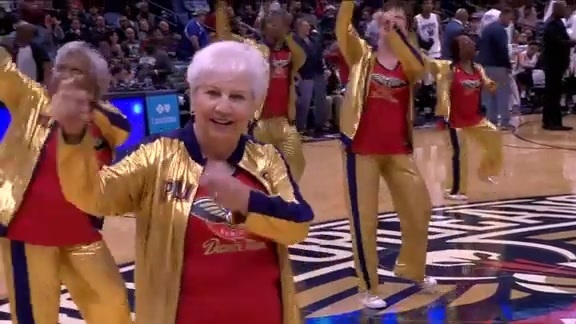 The Pelicans Senior Dance Team entertain fans at the Pelicans-Raptors game on Monday, Feb. 23 at the Smoothie King Center. 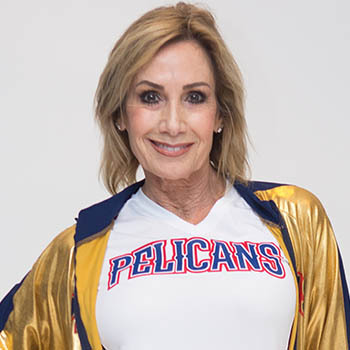 The Pelicans Senior Dance Team entertained fans at the Pelicans-Blazers game Saturday, Dec. 20 at the Smoothie King Center.